Curly haired curls know that one of the great things (and sometimes frustrating) is that curls can literally look different day to day (sometimes even within one day depending on the weather!). 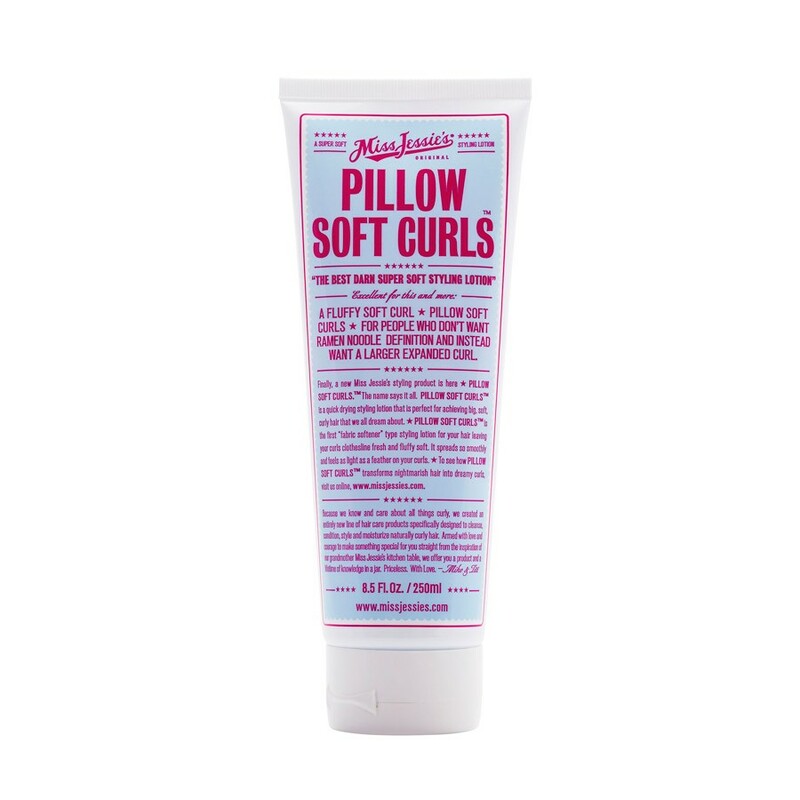 I was very excited by this new product from their line, Pillow Soft Curls, which is for when you want your curls to be "bigger and softer - but without any frizz". One of the most interesting features of the product is the scent. It's a "fabric softener" fragrance. Now I happen to love fragrances that are like detergent/soap, so this may be a deal breaker for some of you, but the performance of the product is such that, I would give it a go even if you think you won't like the smell. First, there are a few steps that must be followed in order to get the most out of the product and have your curls look their best. This product works very well on curls that are loose to medium 2B-3B* naturally. Starting with just a pea sized amount, work it into freshly washed/damp hair (not dry!). If you have very thick/long hair, then you can add more, lightly. This cream is very concentrated, so overusing it will result in crunchy or even frizzy hair, so please use a light touch (It also means you'll have this huge tube for a long time!). Please also note this in not a "anti-frizz" product, so you may want to also add a bit of a product to protect against frizz if you're in a very high humidity situation.